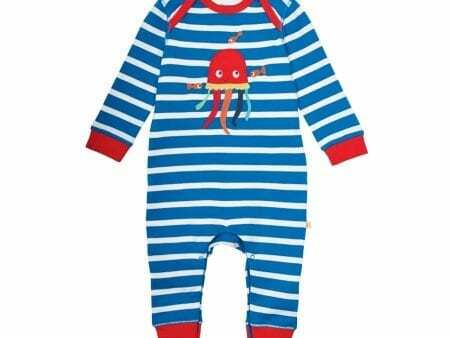 This beautifully soft, organic cotton babygrow is fully poppered for ease of changing with clever integrated scratch mitts and cosy feet to keep little ones warm and cosy! Made from Organic Cotton Interlock. This product has been checked to contain high quality Certified Organic Fabric. 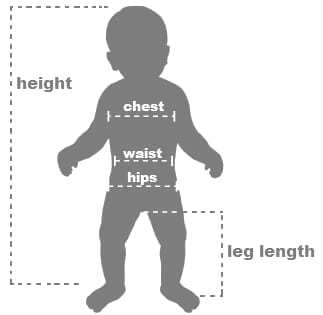 An ideal material to be used in baby and children’s clothing and safe to place next to their skin. Specially imported into Australia by Organature. Available in cute patterned farm themed print with blue wrist cuffs and neck binding.